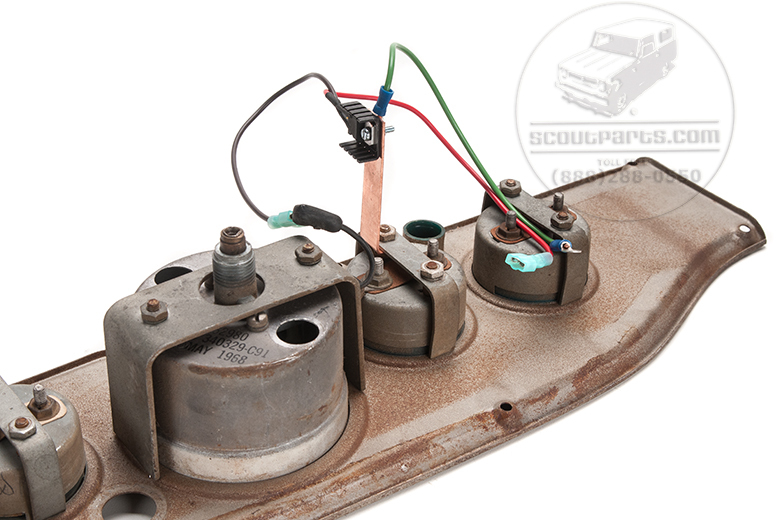 Solid State Voltage Regulator Kit For Gauges. If your gauges are reading incorrectly or not at all, you may need this brand new high capacity solid state regulator kit. It replaces the old mechanical one behind your Oil, Fuel, & Temp guage. NO MOVING PARTS! This regulator has a capacity far beyond the original and will not burn out under these loads. It will probably outlast you and your Truck. Ready to ship NOW! Directions included. Installation is a snap, tighten one nut and two screws and you are done. Do not operate it with out grounding it. If you are installing this yourself, only do so with a full gas tank. 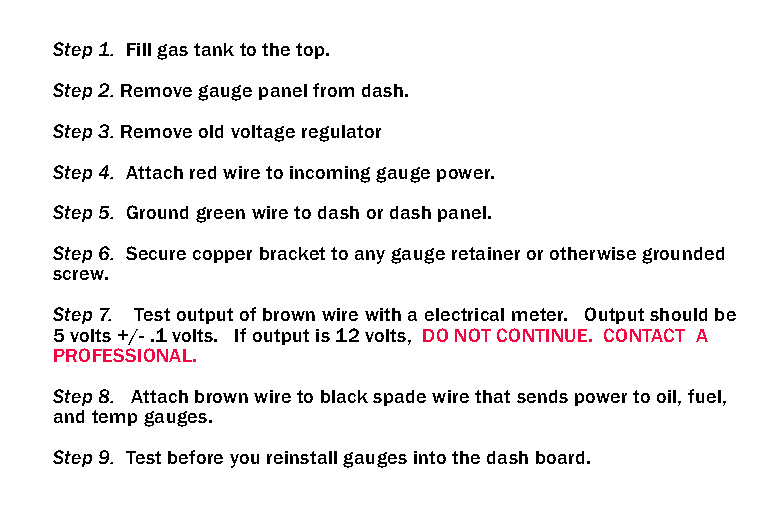 Test the brown wire before installing. It should output 5 volts. If it is outputting more that 5.1 volts. Do not continue and contact a professional.